Celestron StarSense Auto Telescope Alignment Accessory automatically aligns your telescope, so you can begin observing in minutes. The Celestron StarSense Auto Telescope Alignment Accessory 94005 promises any telescope owner, beginner or experienced, that they will turn into a true astronomy professional because automatic alignment is said to have never been so easier before. Celestron is proud of this product for all the good reasons, as the Celestron StarSense Auto Telescope Alignment Accessory 94005 was granted the 2014 Hot Product (Sky & Telescopes) Award. The product is said to automatically achieve alignment thus allowing even the most inexperienced astronomer to take a deep sky tour in matter of minutes. But is this product as good as they say it is? We will look into the product and deliver you a complete Celestron StarSense Auto Telescope Alignment Accessory 94005 review. We have to admit that this product has received mixed ratings from customers, so attention to detail is now mandatory. What is the Celestron StarSense Auto Telescope Alignment Accessory 94005? As we said, this is an accessory sold by Celestron which can be mounted on several models of telescopes in order to achieve automatic sky alignments. The product comes with a RS-232 communication port on hand control, an AUX interface and an USB port on camera – as communication ports go. Also, it features a computer hand control sporting four lines, with 16 character backlit LCD with 19 fiber optic backlit LED buttons. This may not tell you much if you’re a beginner, so let us develop further on the Celestron StarSense Auto Telescope 94005 Alignment Accessory. When it comes to the best Celestron scope products and tools, you should first look into the compatibility of the Celestron StarSense Auto Allignment accessory and the telescopes it works well together with. There is a detailed list of compatible Celestron telescopes. It’s not a coincidence that these are some of the best telescope and astrophotography tools made by the company. One important question we have to answer next is how this product works. In terms of functionality and usability, we have to say that once you install it on a compatible telescope, the StarAllign technology does its job pretty well. The gadget manages to use triangulation for correct star alignment. You have to, however, “teach” the product the current time, date and location and let it do its job. In computerized telescopes, the alignment process may be a bit difficult, as you need at least two bright stars to make a reliable alignment. This time, the Celestron StarSense Auto Telescope Alignment Accessory 94005 captures the image of the sky, identifies the celestial objects against its over 40,000 objects database and solves the alignment problem in less than 3 minutes. For the beginner astronomer, the SkyTour feature may be the best one this product has to give: after the correct alignment, you just need to push the button and you will be taken through a fascinating journey through planets, stars, nebulas, galaxies and clusters. Some of the best Celestron accessories have been awarded along the years, and this one makes no exception. However, if you want to look further into the best telescope alignment accessories on the market, we would advise to carefully read the forums and the overall Celestron company reviews. Many customers said this product didn’t work at all, let alone as described, so the first thing you need to solve is compatibility with Celestron telescopes and other brand telescopes you own or intend to purchase. Indeed, testing the scope on other products proved a waste of time, as compatibility is the first thing you need to check before looking into the best auto telescope alignment tools you find on the Internet. Celestron makes some of the best optical instruments and also some of the most affordable. However, this product produced mixed emotions in the hearts of other customers, so let’s see if we can clear the air for everybody. So let’s go on with this Celestron StarSense Auto Allign Item review by emphasizing on the pros and cons to buying the product. 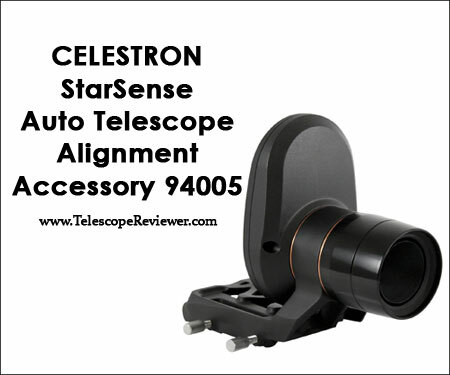 The Celestron StarSense Auto Telescope Alignment Accessory 94005 price is more than affordable considering it can turn a telescope into a computerized one. It should be used in low light-polluted areas, as it can do so much in cities and areas where clear skies are yet a miracle waiting to happen. 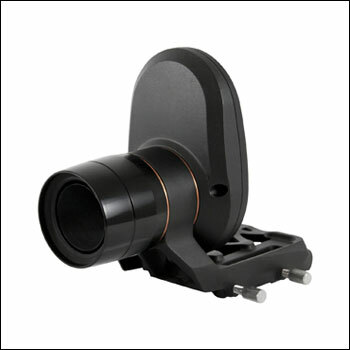 Where to Find the Celestron StarSense Auto Telescope Alignment Accessory 94005? You can find the Celestron StarSense Auto Telescope Alignment Accessory 94005 for sale on Amazon and third-party sellers. However, the Celestron StarSense Auto Telescope Alignment Accessory 94005 on Amazon features an affordable price of $329.95, which, you have to admit, is a lot cheaper than a full computerized telescope. The accessory needs to be kept safe from dust, humidity and, of course, shock. 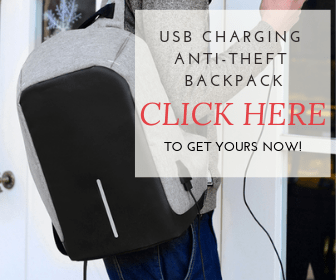 It’s lightweight and compact, so it can be safely stored anywhere in the house. The Celestron StarSense Auto Telescope 94005 Alignment Accessory is also compatible with other products and accessories: AUX port splitters, different cables, Celestron SkySync GPS units for more accuracy, different types of Alt-Azimuth mounts and cameras. Always look for compatibility first before making a purchase. The company offers a 2 years warranty covering repairs and replacements due to normal wear and tear. We have to conclude the Celestron StarSense Auto Telescope Alignment Accessory review by saying that the product works well if used properly (with the compatible existent Celestron telescopes). The Celestron StarSense Auto Telescope Alignment Accessory 94005 best price also recommends the product for beginner and mid-level astronomy activities, as it turns some of the more classic Celestron and some of the best telescope and astrophotography tools into computerized pieces of equipment which will be a delight for the whole family. The seasoned amateur astronomer will find many accessories to enhance and upgrade this one for perfect alignments and sky tours.